There are questions that are asked a lot, so I decided to make a topic that answers all of them. The FAQ is divided into sections to make it easier to find everything, but reading the entire FAQ would be better. The FAQ may or may not be revised to be better organized. However, most, if not all, simple questions should have been answered somewhere in this FAQ or could be easily figured out on your own. The FAQ will assume that you aren't totally clueless. If you have any suggestion or notice any errors, either post here or send me a PM. Q.Why did my account get deleted? A.If you have not been on for awhile your account will be deleted. Q.Where can I find news about updates in UnovaRPG? Q.What do I do if I have a suggestion for UnovaRPG or if I got hacked? I doubt you really got hacked;you probably got phished. Either way, contact Simon. Q.What are some important terms I should be aware of? Rare/Illegal Pokemon-A Pokemon that was not suppose to be obtainable in this game that was obtained by Firebug. There are no more rare Pokemon left because Mothim was finally released on December 31st. Regular Pokemon-It's the basic Pokemon type. When I say type I'm referring to shiny or golden Pokemon, not fire or water. Regular Pokemon are the most common Pokemon. Shiny Pokemon-It's rarer than regular Pokemon and looks different. If you played any of the real Pokemon games you should know about them. However, they are way less rare here. There are no differences between regular, shiny, or golden Pokemon besides their looks and rarity. To get a shiny Pokemon you need to do the same thing you do for a regular Pokemon; walk around a map or room. Golden Pokemon-Golden Pokemon are a game-changing type of Pokemon. Unlike both regular and shiny Pokemon, golden Pokemon can not be found in rooms. Also, unlike regular and shiny Pokemon, you will need to have 22 badges or a gold membership to fight them. All Pokemon can be golden. They also have 10% more attack power than other Pokemon types. Metallic Pokemon-Metallic Pokemon are similar to golden Pokemon in that they have an ability, they have 30% more health. Like golden Pokemon, they also require badges, 30 to be exact, to fight and capture and they cannot be found in rooms. Mystic Pokemon-Mystic Pokemon are another type of Pokemon, and their ability is that they cannot be affected by status effects. 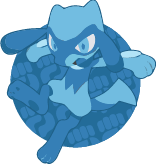 Like the other types that have an ability, they cannot be found in rooms and you badges, specifically 32 badges, to fight and capture them. Dark Pokemon-Dark Pokemon are the last type of Pokemon that was added. They make the types that have abilities, with the exception of themselves, have 90% less accuracy. The other types, normal and shiny, suffer a 50% accuracy loss. They still do affect each other, but it's only 50% less accuracy instead of 90%. IC-IC is the currency in Unova RPG. It stands for Indigo coins and it's connected to your experience;if you spend a lot of IC you will lose a lot of experience. However, that doesn't mean your experience will greatly increase if you gain over a million IC. It's called Indigo coins because Indigo was part of the old name of UnovaRPG. Simon-Simon is the creator of UnovaRPG. If you have a suggestion or something then send them to him. dark pika-A training account that has a team of Blisseys. The account was my friend's account then he quit UnovaRPG and gave it to me. I later turned it into a training account after watching a video about making money faster because I was impatient waiting to be accepted by another Blissey account. Despite the change in how much IC you gain, the amount of IC gained from beating all of the Blisseys is still only 5,000 if you do not switch Pokemon, so you should switch Pokemon after every Blissey you defeat to gain more than one level in the battle and maximize the amount of IC you can receive. Mac User-A training account made to train Pokemon at low levels without switching Pokemon unlike dark pika. However, you should still be switching Pokemon unless you want to only gain one level for every fight. Middleman-A middleman is someone used for risky trades where the people involved have a possibility of being scammed. An example is when you need to trade five golden Pokemon for a Mothim. I'll take the five golden Pokemon and the Mothim. Then I give the person that had the Mothim the five Pokemon and give you the Mothim. There is no risk of getting scammed from this for both of you if the middleman is trustworthy. Scammer-A scammer is a person who attempts to gain your Pokemon/IC/or whatever through fraud and things like that. Basically, when you trade one million IC for a Pokemon and go first, but never get the Pokemon, you got scammed. You should always try to find a middleman to avoid being scammed. Q.What team should I be using against the gym leaders and Elite 4? A.Almost anything works ingame applies to this game. You do not need a specific team at all, and all of the terrible Pokemon should be easy to identify. If you are really having trouble, just fight a training account and grind to level 100. Q.What about the Sinnoh gym leaders? They aren't that easy. A.It would still apply. You can still use items, so it shouldn't be an issue keeping your Pokemon alive. The problem is having them being useful after running out of PP. What is important is that you are fully stocked in items, at level 100, and have a good moveset that can cover all of the gym leader's Pokemon and take them down while wasting few PP, or you could just use Slakings provided you have something to deal with Roark and Fantina. Q.What is the chance of encountering a shiny and golden Pokemon? A.There is no confirmed chance of finding a shiny and golden Pokemon. Q.My Swampert got hurt by Thunderbolt. Why did it get hit if it was part ground type? A.Pokemon only have one type in this game. To check which type they have go to Bulbapedia and the first type it says they have is the type they have. Q.When I try to fight a Giratina I can't fight it. A.You need all badges to fight Giratina,Diagla,Palkia, and Mewtwo. There might be more Pokemon that were not listed. Q.How do I know if my Pokemon can learn a new attack? Q.It doesn't tell me how to learn attacks by breeding and move tutors; how do I learn them? A.If the Pokemon in question is not a Unova Pokemon and the Pokedex doesn't show the move anywhere for that Pokemon, it means that the Pokemon can not learn it. With the exception of the Unova Pokemon, the Pokedex shows all moves a Pokemon can learn, so follow it. Q.How come my Pokemon cannot learn an attack? I checked the Pokedex and it is at the right level. A.You need to only have three attacks to learn a new move. Q.So since I did not have three moves at the time I was suppose to learn the move, does that mean I can never learn the move again? A.You could still learn the move by using the move tutor. Q.Does Growl work? When I use it it says no effect and the enemies' attack being lowered. A.Some moves don't work in UnovaRPG at all, but Growl, Swords Dance, any maybe a few more do, although they barely even do anything. Q.How come Dragon Rage only does two damage? A.Some attacks will not work correctly in UnovaRPG. Q.How come when I used Explosion it left me with 1 HP and made my Pokemon frozen? A.Simon is slowly making moves have effects. Another example is Recover; before it did not recover any HP at all. Q.I just went into a battle, and the pp of my attacks are weird. A.Just win or leave the battle. When you are finished go to the Pokemon Center and the pp will be normal. A. Unova Pokemon will learn moves that they do not normally learn in the real games. It will replace certain moves that they would normally learn. Q.Is there a list of all the moves the Unova Pokemon can only learn here? A.You can check the move tutor to see the moves once you had the chance to learn it already. You won't be able to tell when it will learn it, so your best choice is to either constantly check the move tutor after gaining a few levels or waiting until your Pokemon is at level 100. You will have to pay IC, but it's not a problem because the price is only 5,200 IC. Q.What is the best attack in UnovaRPG? A.The best attack is Focus Punch. The reason why is because of the high attack power, and unlike Giga Impact, is accurate and has high PP. Q.What is IC used for? A.You can use it to buy items, Pokemon from the Adoption Center, and to add Pokemon in rooms. Q.Can I buy or sell Pokemon? A.No, the reason why is because of ethics. If you try to and get scammed, there's nothing you can do about it. Q.What do all the items do? A.There are no HMs in UnovaRPG. Q.I can't afford the items. What should I do to make IC easily? 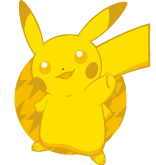 A.Fight dark pika or Mac User. Beating dark pika gives you 5,000 ic and Mac User gives you 2341 ic. Beating dark pika also gives you a lot of experience, 32778 experience after fighting dark pika one time. Q.How come dark pika only gives you 5,000 when you earn more than 1,000 IC from every Blissey? A.It's a glitch; to earn more, switch Pokemon after defeating a Blissey. Q.What are the discounts for the store? Q.What is a coupon code and how do I get one? A.I think it can be used to get a discount when buying items. You cannot get them anymore. It's either for a membership or a special membership 50% discount at the indigo shop. Q.Rare candies are useless for me because it only levels up a Pokemon by one level and it isn't that cheap. A.If you have a slow computer you can use a Rare candy and when you use it quickly keep using it again. You will gain more than one level. Q.When I bought a TM it was one of the moves that do not work. Can I do get a refund? A.Yes, but you will only get 50% back. Q.What is the Adoption Center? A.It is a place where you can spend IC on Pokemon. You are pretty much buying Pokemon, but you cannot get scammed with the Adoption Center. The downside to this is that the Pokemon is level 15 and you can't get all Pokemon here. Simon said he would improve the Adoption Center a long time ago, but it seems like he forgot about it, is on a lower priority than all the other updates, or he changed his mind. A.Use this: http://budvar.pkindigo.com/pokedex/ It will tell you how to evolve all Pokemon that don't have split evolutions. Q.How am I suppose to evolve Pokemon? I know what needs to happen to evolve them, but I don't know where. A.Go to setup my battle team and go click on the Pokemon you want to evolve. It should open a box and if you go down you will see an option to evolve your Pokemon. Q.What do I do to evolve a Pokemon when the Pokedex doesn't say what to do? A.The Pokedex will only do that for Pokemon that have split evolutions. To evolve Pokemon that have a split evolution you need to evolve it like you do in the games. However, you have to do it before the level of the Pokemon that shows up on the Pokedex. Let's say we want to evolve Slowbro into Slowking. You need to trade it holding a King's Rock, but it has to be lower than level 27 or it will not evolve into a Slowking. If it is higher than 28, the Slowbro will be a Slowpoke instead. Q.How can I get an Magmarizer to evolve my Magmar or any other Pokemon that evolves with an item that I can't find here? A.If it says you don't need it to evolve the Pokemon on the Pokedex then you don't need to. The way you evolve some Pokemon in this game are going to be different than the real games. Q.So, what about the eeveelutions? There is no happiness and night and day system so what do I do for Espeon and Umbreon? A.You cannot get Espeon and Umbreon in this game by evolving Eevee.You need to catch them and same goes to Glaceon and Leafeon.The reason why is because Espeon and Umbreon require the day and night system which this game doesn't have and Glaceon needs to be evolved at Route 217. Q.How do I use the evolution stones to evolve my Pokemon? A.Go to setup my team and click on your Pokemon and when the box comes up go to attach items.After you attach the stone you want to use you will see an option to evolve the Pokemon. Q. What is a clan? Q. How do I make a clan? Q. I seen some people on the first map that were on the water. How do I get there? A. To get there go to the trees in the south right and go down and keep going right to the water. There are many more places like this. Q. What happens when I get there? A. Nothing special happens except for attention. A. The Pokemon Locator is your friend. Q. What exactly are rooms? A. Rooms are places where you can add most Pokemon at a certain level range. Q. Are there any downsides for using rooms instead of maps? A. You can not find golden Pokemon in rooms, and I believe that you that the same applies to the types of Pokemon that affect gameplay, so you should only be able to find normal and shiny Pokemon in rooms. There are also some Pokemon that can't be found in rooms, since you can't add them..
Q. What does subscribing to rooms do? A. You will be able to find your subscribed rooms easily. You can also see the rooms that have the most people subscribed to them, but I would not recommend that. For me at least, it takes several seconds to load, and the most subscribed rooms aren't really special. If you want to use a room, there's plenty of rooms that you can search for where they have specific Pokemon, which is what you should be using rooms for. Q. What does the guy that has a lot of subscribers get? A. He gets nothing, but room owners usually care about subscribers for some reason. Q. What is a tournament in UnovaRPG? A. A tournament in UnovaRPG are basically multiple online battles that are organized. Tournaments are essentially what you would think they are, and the tournaments in this game isn't anything special. Some person or a group of people just announce a tournament where people can sign up and battle each other. What the rules are and the specifics of how they are organized will depend on the person. The tournaments are not official and are created by the community. Q. Are there any rules in an online battle? A. If you just find a random player to battle then no, you're free to use as many dark Pokemon as much as you want. The only thing stopping you from abusing broken Pokemon is etiquette. However, if you send a PM to a player to battle then there might be rules. In a tournament there should be rules. Q. Is it easy to get good at battling? A. It should be easy to get good if you know what you are doing. The most important things to know are the differences between UnovaRPG and the real games. After knowing them, you should easily know what moves to get, and as for the Pokemon, just pick ones with decent stats. Q.What are the best Pokemon and what type should they be? A. Slaking and Regigigas are probably the best Pokemon. They got hit hard ever since the normal type Pokemon nerf, but they are still powerful with their insanely high attack stat. The best type for all Pokemon should be dark. It automatically forces your enemy to only be able to use normal, shiny, or another dark Pokemon. Their is no reason to use other types while completely battling seriously if they are not banned. Q. Why did my entire team change when I challenged somebody on an online battle? A. Online battle is full of glitches. Don't be surprised when you see a glitch on online battle. Q. Why did I get seven Pokemon in my team? A. It is a glitch. Your team should be normal after the battle. Q. Some guy somehow changed his Pokemon and it used an attack it isn't suppose to use. Is he a cheater? A. It might have been accidental, but if he repeatedly does it, he's purposely exploiting a bug. Your best option would be to try to beat and humiliate him, or leave the battle. Q. What is the best team in UnovaRPG? A. The best team is probably a combination of dark Slaking and Regigigas. Slaking should have Focus Punch and other attacks for Pokemon that Focus Punch is weak against. Regigigas should have Focus Punch and the elemental punches. Getting a Pokemon with Thunder Wave works too. There's nothing your opponent can really do to defend against it other than relying on it to wear off quickly. Q. How do I put my Pokemon on the Trade Center? A. First of all, make sure the Pokemon is not on your team. Go to setup my team and click on the Pokemon to open the box. On the box you will see an option to trade your Pokemon. After you click it you will go to a page to make your trade. Q. Why can't I make a trade? A. You need to have at least 5,000 experience. Q. I got scammed. Can I report the guy? A. You can send a pm to Simon. Q. What can I do to avoid being scammed? A. You could either get what you want first or use a middleman. Q. How do I make a private trade? A. On the page where you make your trade you should see an option to make a private trade. Just put the name of the person who you want to make a private trade with. Q. Why did some random take my Pokemon when I put it on a private trade? A. What did you do to put the name of the person in the private trade? You might had spelled his name wrong or if you were copying and pasting then you probably included a space or left out a character and the game just made it a public trade because it thought there was no user with that name. Q. What can I get from a normal Pokemon that is not level 100? A. A Pokemon around the same level. Q. What are the values of all the Pokemon? Q. Can I trade or sell my Pokemon for money? A. It's not allowed on the forums. The reason why it is not allowed is because of ethics, but I've been told it's because of the high chances of scams occurring. Simon was planning on adding a system to do it safely, but he changed his mind and will be improving the adoption center instead. Q. What are some good things I should read? The Pokedex is to view the attack power of moves.For BW Pokemon you can use the BW Pokedex. I support this thread to be stickied. Great FAQ kanji.This will defiantly help some newbies. We need a mod to sticky this topic. A few mistakes in their. But good job anyway. Well for a example, you said if a pokemon supasses the level of which a pokemon must learn a move by over a certain amount it dosent learn the move... even though i had a Tyranitar and it still learnt Earthquake which it learns at 47 at level 100. Thats a example. No, mods needs to have permission from an admin, as i asked richard redfeild to sticky the suggestions for indigo, but he said no, because he needs permission from an admin. Wotter said he already had someone to pm an admin to authorize a mod to sticky this topic.